Poetic has its Up-Tempo Leather Bumper with a tweed-like design, and we also found this transparent TPU bumper for iPhone 5 (pictured right) for under $10. 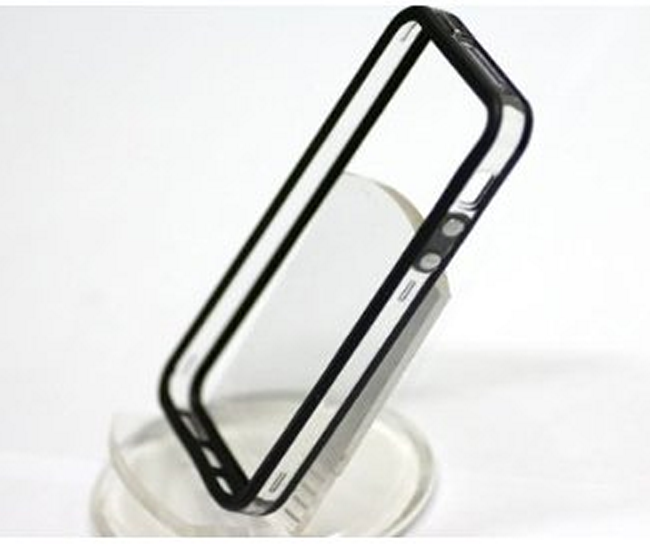 There is a cheaper $4 transparent bumper from Chivel, and a similar white version of the transparent bumper here. Kickstand cases- If you want a case with a built-in stand for watching media or other hands-free tasks, Incipio has you covered with its reasonably priced KickSnap for iPhone 5 in both black and white with charcoal accents. 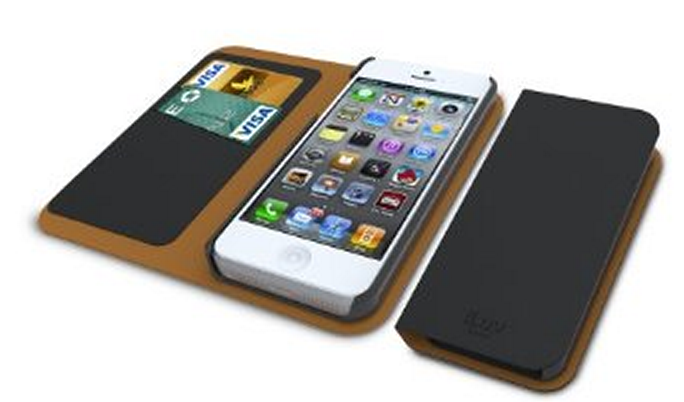 Another option is Ionic’s CONVENIENCE leather wallet case that transitions into a stand. Seidio also has its Active Case with a metal kickstand on the far right. Transparent: (From left to right) Cygnett’s Clear Slim Hard Case, KaysCase SoftSkin Cover Case, Belkin VIew Case/Cover. Another transparent getting some attention is the Zero 5 from Caze. Available for $20 from the company’s website here, Caze says at 0.5mm the Zero 5 is the thinnest iPhone case available. Wallets: A few more options for wallets are now available: iLuvs’ Diary Premium Leather Book Case (pictured right), Speck’s SmartFlex Card Case, and our favorite, Cygnett’s Flipwallet case. Leather: Bear Motion’s 100% genuine lambskin leather case, Spigen’s leather pouch for iPhone 5, and JKase Executive Series Napa Leather Case and Card Holder. 9to5toys.com also has some ’90s TPU Jelly Cases for iPhone 5 in six colors for just $4. 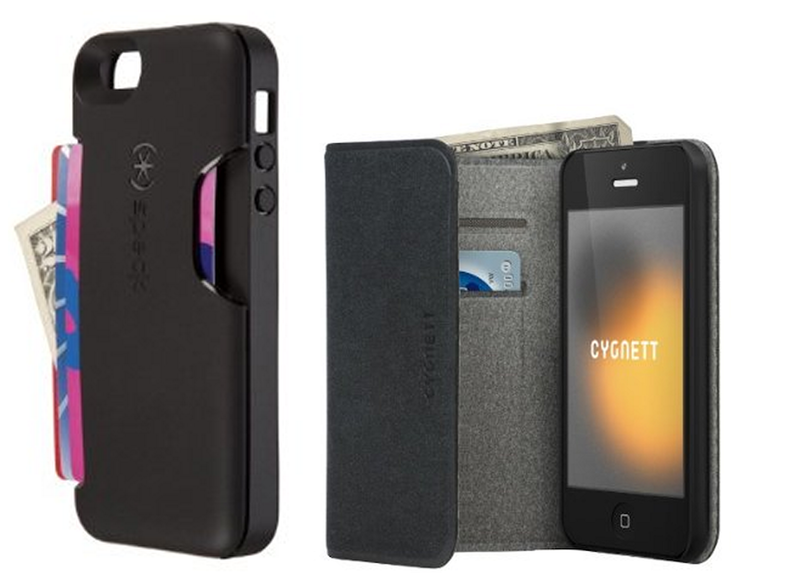 Check out our other roundup of iPhone 5 cases from last week.